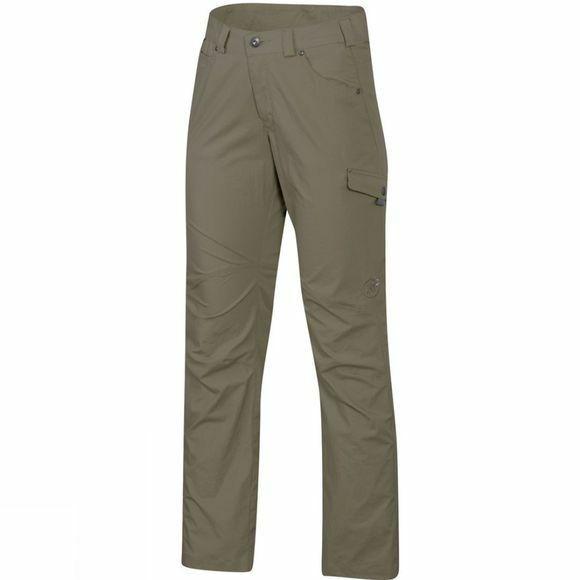 Storm Cotton fabric makes the Mammut Women's Trovat Pants the perfect companion for everyday wear and light hiking. The breathable, quick-drying, water-repellent blend of cotton and elastane is particularly durable, but still feels soft and natural on the skin. Articulated knees and a gussted crotch enhance your freedom of movement.